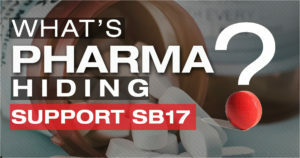 But Pharma is furiously lobbying against basic transparency, sending an army of lobbyists to the state Capitol in an effort to cajole legislators from passing this common-sense measure. The Times rejects Big Pharma’s protests about SB 17, pointing out that transparency is precisely what’s needed in the debate about skyrocketing drug costs. The drug companies’ biggest fear seems to be that the measure is a stalking horse for price caps, which they say would dry up the investment they rely on to fund R&D. But that’s a wholly separate debate, and one that should be informed by the kind of industry data that SB 17 aims to collect. Nor can drugmakers argue with a straight face (although some do) that the Legislature should simply trust competition and market forces to protect consumers. Not to put too fine a point on it, but pharmaceutical companies enjoy government-awarded monopolies on their products that last for a decade or more, and that they often manage to extend by tweaking their formulations. And even after their patents expire, drug makers sometimes face so little competition that there’s nothing to stop them from jacking up prices exponentially (see, e.g., the exploits of “pharma bro” Martin Shkreli). On top of that, consumers aren’t trained to diagnose their own ailments and prescribe the right pills — they rely on medical professionals to make those choices for them. That’s why pharmaceutical companies spend so much time and money marketing their wares to doctors and clinicians. The bottom line: Californians need SB 17 to offer a measure of transparency to protect patients and consumers from price gouging in prescription drugs. It’s time for the legislature to act. Sign the petition today! Urge the California Legislature to pass SB17!